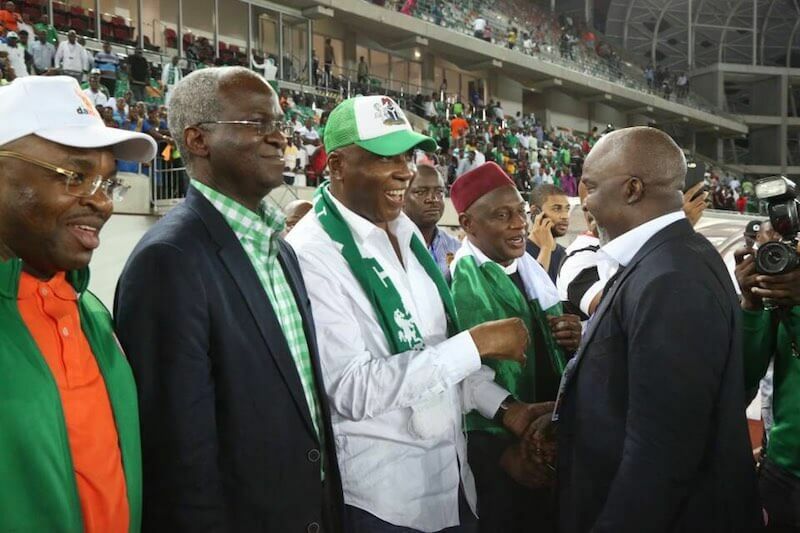 Nigeria’s number three man, Senate President Dr. Bukola Saraki, will be at Volgograd 45,000- capacity in Russia to support Super Eagles of Nigeria in their match against Iceland at the expenses of the slated All progressive Party APC National convention of the ruling party. This simply means that Saraki will be absent at this Saturday’s APC elective congress where the national officer will be elected into various positions. Super Eagles, yesterday (Thursday) have arrived the Southern Russia town of Volgograd ahead of Friday’s win-or-bust FIFA World Cup Group D encounter against Icleand. Victory against feisty Iceland will renew hope for a place in the knockout rounds while defeat would mean early and unflattering elimination from the quadrennial showpiece. However, President of the Senate, Dr. Saraki, on Wednesday, addressed the Upper Chamber of the Russian Parliament known as the Federation Council of the Federal Assembly of the Russian Federation, in Moscow. In his address which was historic – being the first head of the Nigerian legislature to perform such a function in Russia – Saraki called for a stronger security, economic and cultural cooperation between Nigeria and Russia. The Senate President thanked the Chairperson of the Federation Council, Ms Valentina Matviyenko for the invitation to visit the Russian Parliament and expressed confidence that the event would mark a new phase of inter-parliamentary cooperation between the two nations, as well as a springboard for renewed vigour in Nigeria-Russia relations in general. According to him, Nigeria’s leadership role in Africa is unassailable. An improved relationship between us would be a definitive pathway to a stronger relationship with the whole of Africa. “Let us, therefore, pledge to revitalize the ties between our two countries. It is important, at this point, to stress that the relationship we seek is one based on partnership. He added: “As the country with the biggest gas reserves on earth, Russia should be a leading player in the African oil and gas sector. Stronger collaboration for gas development would help Nigeria solve acute problems of power generation as well as provide for other local uses. He said that Nigeria and Russia need to collaborate more to develop common strategies for tackling the problem of terrorism and human trafficking as their contribution to sustainable peace in the larger world.